I’ve been thinking about creativity when someone has been arguing about the jobs infront of computers make you dumb, not suitable for the expansion of creativity. 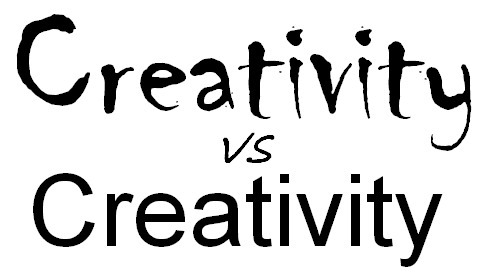 Creativity has been a buzzword recently, a term given for uncommon , experimental and mostly exciting ideas and things. How much creative are you ? Or is there anything at all as we call creativity ? It seems that there has been a significant increase in books , articles , videos on how to increase creativity , how you can be creative, life of creative people etc. Whether it exists or not, the term was so deeprooted in our minds that they exist in us as something which exists in reality. All these thoughts lead me to think of people who are devoid of creativity , or is there people like it at all. Creativity is -which i consider as conscious rigorous thought process which will lead to new ideas- a time consuming , straining, energy consuming and a normally unwanted hard work. So why mind should waste all the energy ?. Our mind is, i think, doesn’t like to change things, doesn’t like to think new ideas, seems like it doesn’t like the rewiring of the neurons, doesn’t like to work. You just have to look around, look at your life to know these things. Is it not easy to write an exam based on previous year questions, easy to watch a regular type film than to risk for a new experimental film, easy to use same OS everyday, easy to go the same route than a different route, easy to like than comment on facebook, easy to do everything in a conventional way, the way that was established well. 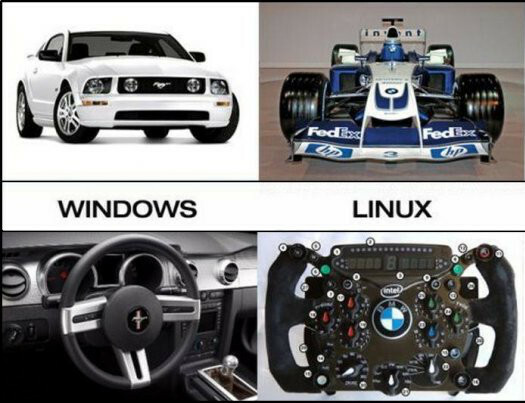 A Stereotypical view of Windows/Linux ? It seems that we are tuned to be non-creative after all. So here i thought about the term non-creativity. Because i’m a big fan of newton’s third law, i associate it with everything, finding the balance. I think creativity and non-creativity must be balanced for a state of equilibrium. Creative people cannot do the everyday-the-same-work kind of jobs which forms the most percentage of the jobs. Accounting, filing, cashier, stock estimater, driver etc kind of jobs aren’t creative jobs but are essential for everything. So if all people start to be creative, there would be stunted growth and development in all areas. In short, the non-creative people runs and maintains the world. The abundance of non-creative people makes creative people less in number and hence they get more noticed. Creativity exists and prosper when creative works are enjoyed by the non-creative people. They are the audience, the viewers, the judges and the criticizers. So if you can please try to be creative and make this world wonderful or be non-creative and protect & maintain this world.